The RGV Vipers were dealt a major hit in their quest to claim the Southwest Division title on Friday, falling to the division-leading Austin Spurs 123-112 at the H-E-B Center at Cedar Park. The loss puts the Vipers (24-18) two games back of the Spurs (26-16) with eight games remaining. RGV still leads the wild-card standings in the West, comfortably in position to claim one of three wild-card playoff spots. Monte Morris and R.J. Hunter were the Vipers’ leading scorers on Friday with 23 points each. Morris added eight assists, eight rebounds and four steals. Julien Lewis scored 17 points, while Chris Walker had 13. Austin was paced by 38 points from Derrick White, who hit 13 of 19 shots from the field and added seven assists and six rebounds. 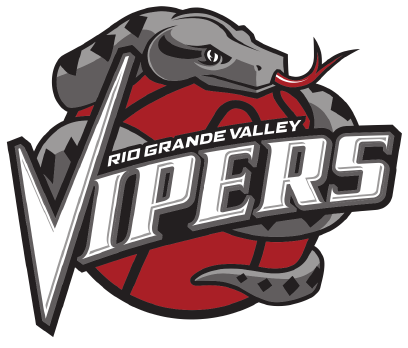 The Vipers scored the game’s first six points, built a 10-point cushion before the midway point of the first period and entered the second quarter leading 32-24. Austin surged to pull within one point during the second period, but the Vipers used an 8-0 run midway through the quarter to rebuild their lead. After another 7-0 burst late in the half, RGV held a 63-53 advantage at the break. The Vipers led by as many as 18 multiple times during the third quarter, but the Spurs used a 15-2 run to pull within five points with about four minutes to play in the period. As the fourth quarter began, RGV’s lead was just 92-90. After a back-and-forth final period, the score was tied with less than two minutes remaining before Austin scored seven straight points on two free throws by White and a 3-pointer and two more free throws by Nick Johnson. RGV scored just one point in the final minute, and Austin stretched the margin with three free throws and a dunk.